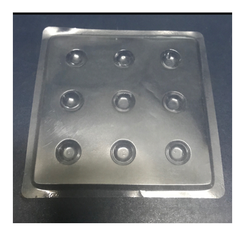 We are a leading Manufacturer of areca plate 10inches export model, pvc blister for crackers, display pouches, pvc handy pouch, pvc pen pouch and wallet plastic insert from Chennai, India. We are much concerned about the quality. The products are made in the most hygienic way. 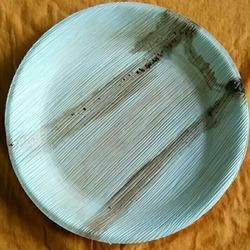 We are making the QC inspection for each and every plate as part of the production. We deal with both Domestic and international market. Different quality standards are being followed based on the markets (Domestic and international). We are highly appreciated in the international market for our exquisite collection of Display Pouches. These pouches are manufactured by our expert professionals using excellent quality material that is sourced from reliable vendors of market. All these products are mainly used for garment items display, pen display and food product display. With firm commitment to quality, we are manufacturing, supplying and exporting high quality PVC Handy Pouch. All these handy pouches are manufactured keeping in mind the variegated requirements of customers. Besides, we make sure that the offered consignments are timely delivered at customers' destination within the scheduled time-frame. 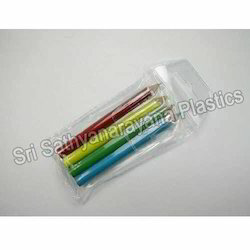 We are a reliable manufacturer and supplier of PVC Pen Pouch. Our offered pouches are manufactured using quality-approved PVC that is obtained from the accredited vendors of the industry. Convenient to carry and keep stationary safe, our offered pouches can be availed by our customers in different sizes as per their requirements at industry leading prices. 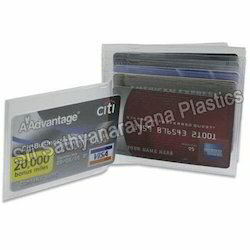 We have established ourselves as a renowned manufacturer, supplier and exporter of an impeccable array of Wallet Plastic Insert. Available in variegated sizes, these wallet inserts are in tandem with international quality standards. 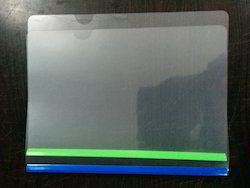 The offered inserts are generally open on the long side with the spine of the insert inside the inmost fold. 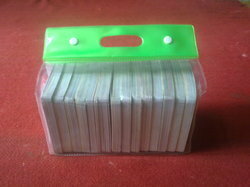 Looking for Plastic Pouches ?